GENEVA (2 May 2014) – UN High Commissioner for Human Rights Navi Pillay on Friday expressed concerns about the increasing restrictions placed on freedom of opinion and expression in Ethiopia, following the recent arrest and detention of six bloggers and three journalists. “I am deeply concerned by this recent wave of arrests and the increasing climate of intimidation against journalists and bloggers prevailing in Ethiopia,” Pillay said. 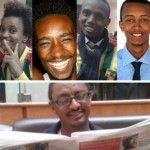 On 25 and 26 April, six members of the blogging collective Zone Nine and three journalists were arrested by police in Addis Ababa. They were later taken to the Maekelawi federal police station, where they remain in custody. The nine detainees are reportedly held incommunicado and some of their family members who tried to bring them food over the weekend were denied access. Since January 2012, a number of journalists have been convicted under the Anti-terrorism Proclamation to sentences ranging from 5 years to life imprisonment. Two journalists arrested in July 2012 and January 2013 under the same law are currently in detention, awaiting their trial. “The fight against terrorism cannot serve as an excuse to intimidate and silence journalists, bloggers, human rights activists and members of civil society organizations. And working with foreign human rights organisations cannot be considered a crime. Over the past few years, the space for dissenting voices has been shrinking dramatically in Ethiopia,” the High Commissioner said. Pillay noted that the Ethiopian authorities continue to use the Charities and Societies Proclamation Law, the Anti-Terrorism Proclamation and the Mass Media Law to restrict the rights to freedom of expression, association and assembly. The Charities and Societies Proclamation Law places restrictions on the activities that civil society organizations can engage in and institutes onerous registration procedures for registration as well as criminal penalties, restrictions on funding sources and intrusive powers of surveillance. 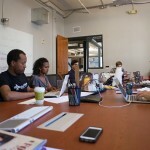 As a result of this legislation, local human rights organizations are unable to operate freely and have had to drastically scale down their human rights activities. Some have even been forced to close down some of their regional offices or to change their focus from human rights to development work during the re-registration process. “In its efforts to combat terrorism, the Ethiopian Government must comply at all times with its human rights obligations under international law,” Pillay said. Ethiopia is party to the International Covenant on Civil and Political Rights and the African Charter on Human and Peoples’ Rights, which both guarantee the right to freedom of expression. Back in July 2012, Pillay had already warned that the vague definitions used in the 2009 anti-terrorism law could create a climate of intimidation and result in criminalizing the exercise of fundamental human rights. The High Commissioner urged the Ethiopian Government to release all bloggers and journalists currently in detention for simply exercising their right to freedom of expression. She also reiterated her appeal for there to be a review of current anti-terrorism and civil society legislation to ensure its conformity with international human rights standards.